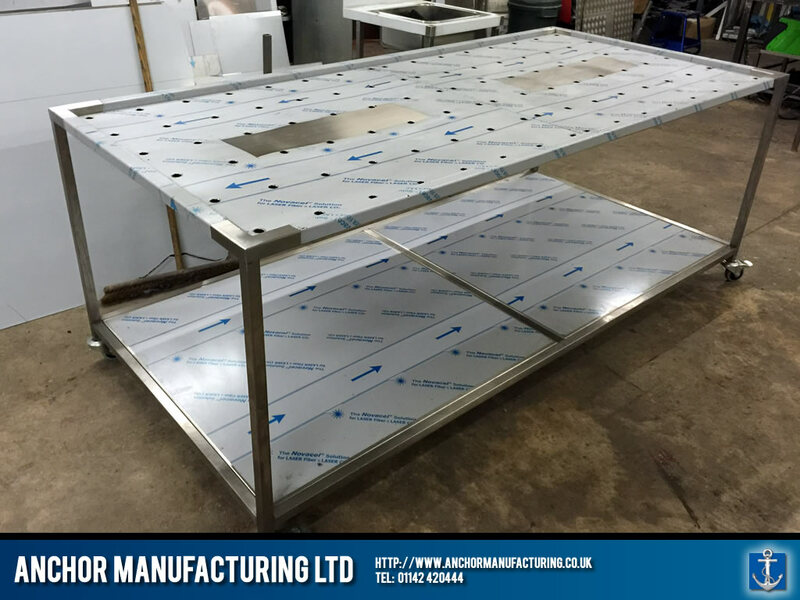 A Stainless Steel Mortuary Table for a Sheffield premise. 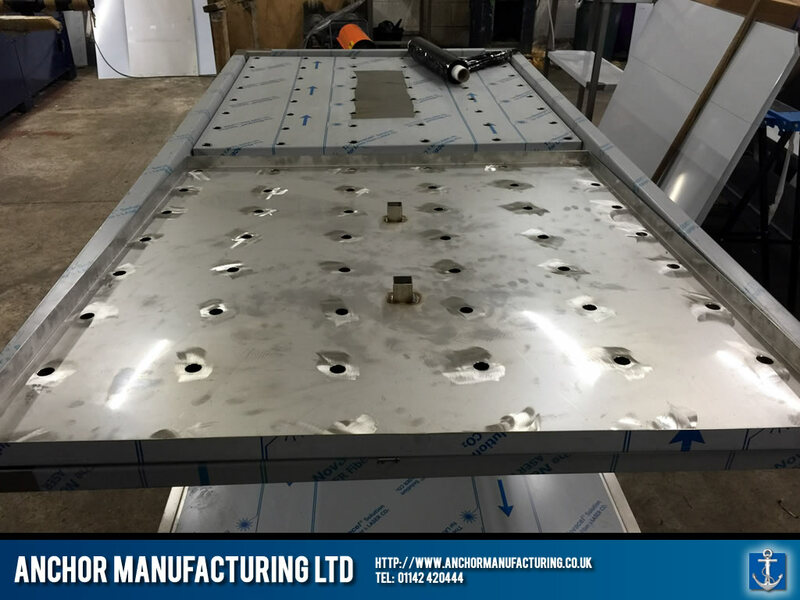 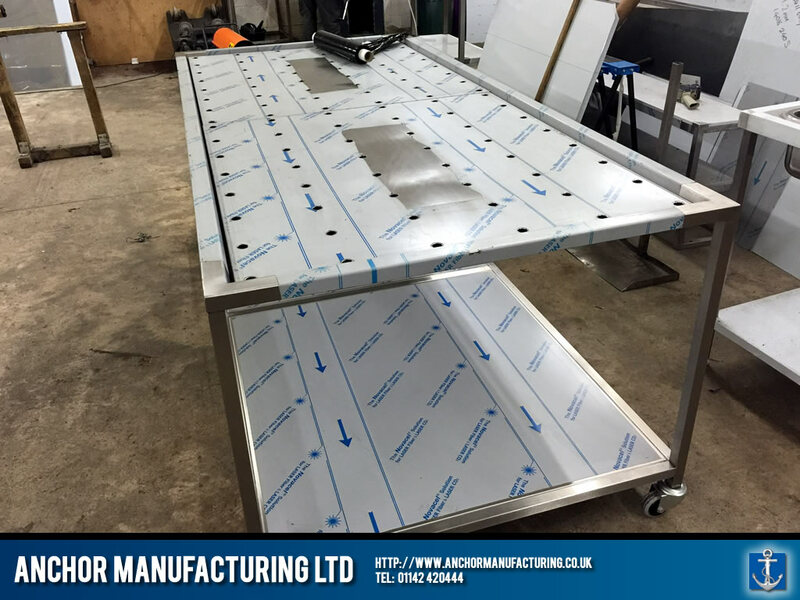 Anchor Manufacturing LTD make a custom over sized Stainless Steel Mortuary Table for a local centre on Staniforth Road, Sheffield. 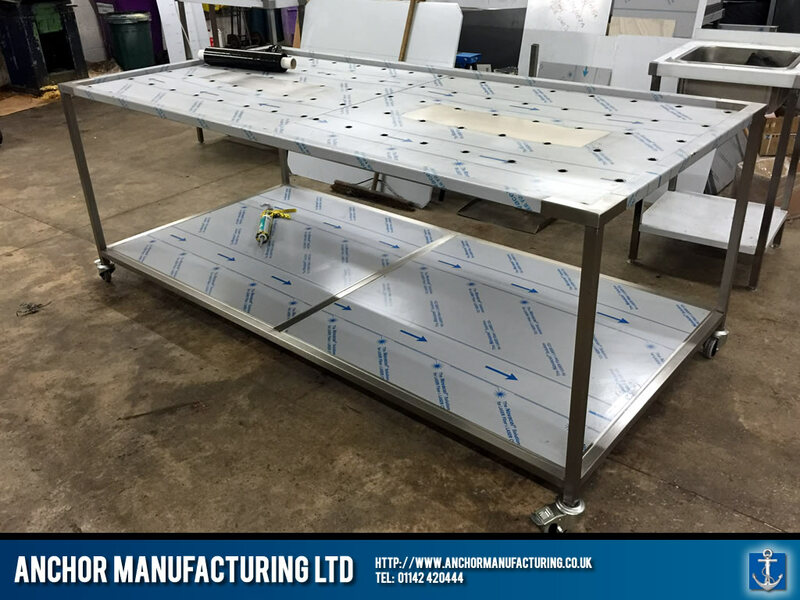 Completely bespoke in every aspect, the table features welded seams which are fully polished and interchangeable perforated steel plates for easy cleaning.